In the book Monuments to Faith: Ukrainian Churches in Manitoba Philip Ruh is correctly described as “perhaps the most interesting and colour of all the individuals involved in the design and construction of Ukrainian churches in Manitoba in the twentieth century.” Indeed, if judged simply on his work alone – which includes such stunning “Prairie Cathedral” landmarks as the Ukrainian Catholic Church at Cook’s Creek, Manitoba, and theUkrainian Catholic Church of the Assumption of the Blessed Virgin Mary in Portage la Prairie – Ruh is an impressive figure, one’s whose life story is itself an interesting one. Somewhat remarkably, Ruh’s background is not Ukrainian-Canadian. Ruh was born in the Imperial Territory of Alsace-Lorraine (a disputed Franco-German territory established by the German Empire) in August of 1883. Duh was the second of ten children, born to a farming family. Né Philippe Roux, Ruh was trained by the Oblates of Mary Immaculate, a missionary religious congregation in the Catholic Church in the Netherlands. While in Holland Ruh joined this religious order (in 1910) and was thereafter posted to the Ukrainian district of Galicia in order to learn the language, customs, and Byzantine rite utilized by the Eastern Catholic Church. 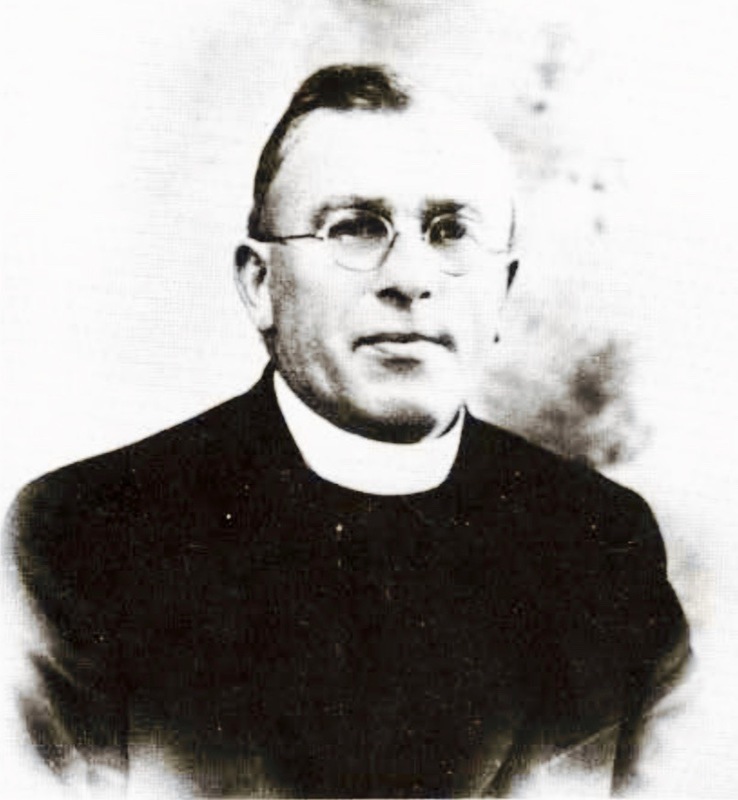 In 1913, Ruh was transferred to serve as a missionary to the Canadian Ukrainian Catholics in central and northern Alberta. He spent 10 years in Alberta, reputedly engaging in a thousand-mile circuit across this district. It was while he worked in Alberta that Ruh was first called upon to engage in architectural work, basing his work on brief training in design he received while at seminary school. Much of Ruh’s designs were drawn upon his memory of church buildings he encountered while in Galicia. Beyond churches, while in Alberta Ruh also contributed to the design of two grottoes, the extension of an orphanage in Edmonton, and a Basilian monastery in Mundare, Alberta. Following his years in Alberta, Ruh was sent to work in Manitoba, where he settled in Cook’s Creek in 1930. Duh served as the parish priest of this town until his death in Winnipeg on 24 October 1962. He was buried in the cemetery of the Ukrainian Catholic Church at Cook’s Creek. Over his years of work, Ruh designed a remarkable number of churches and other religious structures in Canada, as well as the United States. Ruth’s participation in the design process included hands-on partnership with volunteers, contractors, and artisans on building sites, as well as fundraising efforts. Ruh’s church designs were typified by the use of dramatic rooflines and, frequently, spectacular interior iconography. As mentioned above, their aesthetic approach was informed by the historic churches of Ukrainian, which were themselves imbued with aspects of the Byzantine, European and Ukrainian Baroque architectural traditions.